So I’ve been trying to change my routine at night. One of the main reasons we struggle with sleeping well is that we don’t set ourselves up for success pre-pillow time. This one’s a biggie- and also the hardest! But studies have shown that the light that emits from our screens– phones, iPads, laptops, TV, etc.– is a powerful neurotransmitter that tells our brains to stay “on” instead of powering down to sleep. Ugh. As hard as it is (hello- late night Insta scroll?! ), the facts are hard to ignore. I tend to get bursts of creativity at night (I say as I’m typing this at 9:30pm…), but both Carl and I have definitely noticed that the later into the night that we stay hooked to our devices, the harder it is to get into sleep mode and how much more exhausted we feel in the A.M. Try: Powering down your devices and not selecting “Watch next episode” at least 30 minutes to an hour before bed to signal to your body that it’s sleep time.! So what do in that time? Read! At the start of the year, Carl and I wanted to make it a point to read more books. So we’ve gotten into the habit of trying to read before bed, because otherwise I know I won’t squeeze any in during the day. It’s so relaxing and I have the next day to really think more in-depth about whatever it was I read the night before. And if you hate reading, well, it’ll probably help put you to sleep faster. Curl up with a cup of your fave (non-caffeinated!) tea and work your way down your book list. 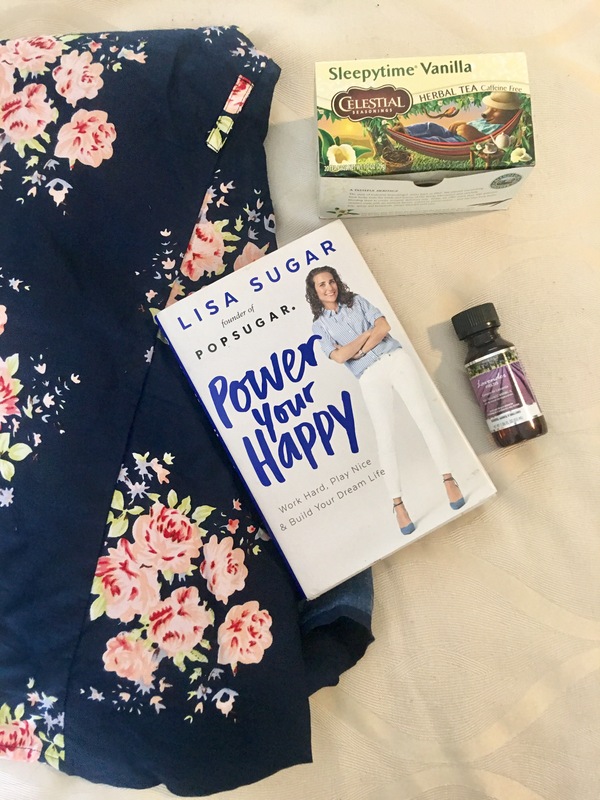 Try: My current read is “Power Your Happy,” by POPSUGAR CEO Lisa Sugar! She’s a great writer and the book is equally inspirational and enjoyable to read. Keeping your sleep schedule as regular as possible is a major key in achieving a strong sleep game. Oversleeping on the weekend can cause your internal body clock to fluctuate, which in addition to exhaustion can also lead to weight gain- yikes. Try: Cutting out late Friday + Saturday nights at least twice a month. 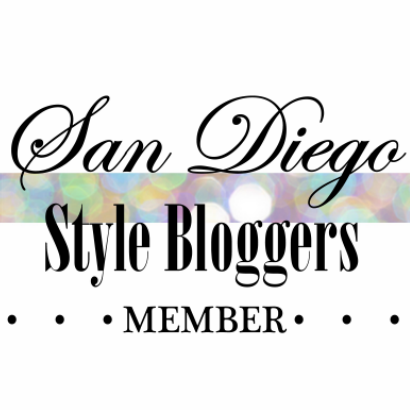 What are your best tips + tricks for getting the best sleep? I’d love to learn more!